Businesses have diverse locksmith needs that are quite in contrast to that of homes and apartments; and anyone who thinks otherwise is under grave misconception. Compare the locks deployed at residences to those used in commercial setups and you’ll know what we’re talking about. 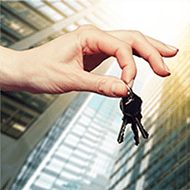 Commercial locksmith needs are generally more sophisticated, demanding and vary in complexity depending upon the business size. Owing to the high-value assets contained within and the large number of people making their way in and out of the property, there has to be a customized security strategy in place for ultimate protection. That is why, as a business owner, it is inevitable that you team up with specialists who provide business-specific services. 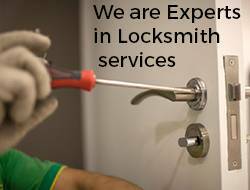 At Boulder Locksmith Store , we operate a comprehensive commercial locksmithing unit that is designed to align with the distinct needs of commercial clients. With a dedicated team of business locksmiths and the associated infrastructure, tools, equipment, and products required for the job, we’ve managed to render our solutions to clients from a range of domains. From retailers, industries, educational institutions, to malls, hospitals, among others, we’ve managed to lend our expertise to them all. Our commitment to serve, our emphasis on quality and our in-depth understanding of complex business locksmith requirements has made us a favorite amongst commercial clients in Boulder, CO area. Locks and keys form the core of your property’s security. Entrusting such sensitive security information to a novice or an unknown locksmith, will cost your business heavily. Such information could be sold to interested buyers or could be misused by the locksmith himself to gain unauthorized entry into your property. When you hire us, you can be confident that you’re in safe hands. 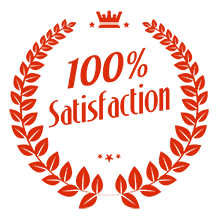 All our team members have undergone stringent background checks, and have sworn to comply by our code of work ethics. Your privacy and confidentiality will not be violated on any terms. That’s why, we’ve become the locksmith of choice for countless businesses in the region. Time is money; the pivotal rule of nearly every business. Imagine losing business hours due to an office lockout. The implications of sending your employees back home and losing a full day’s productivity are hard to fathom. Because such emergencies can crop up at any time, and because we comprehend this fact, we provide our services 24/7. All you need to do is call us, and we’ll send a team of experts right away to restore normalcy to your business operations. And our 24/7 service is not just restricted to emergencies, but can be called upon as and when the need arises. You can schedule a lock change overnight, get keys made and more, at your convenience, even after business-hours. Do you have a locksmithing partner you can rely on yet? If not, team up with us today.